Dean Andrew Ainslie says the Simon traditions of innovation and excellence will help move the School into the future. 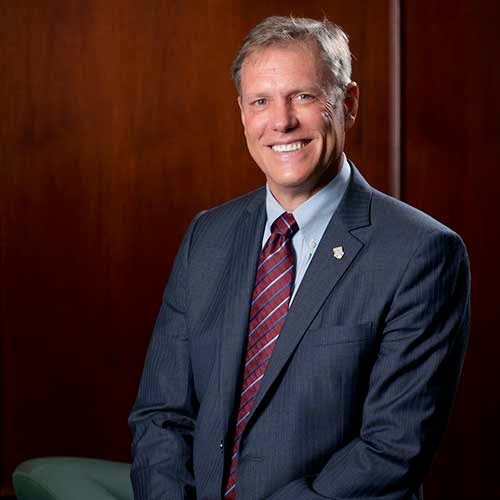 It has been nearly a year since I had the honor of being named the seventh dean of the Simon Business School. In that time, I have met with many members of the Simon alumni network, listened to friends and supporters, and spoken with students, faculty, and staff about the key challenges and unique opportunities facing our School. It has been a year of listening, learning, and gathering information so that my leadership team and I can honor the School’s traditions while moving it forward to even greater success. It has also been a year of practicing what we teach every day at Simon: collecting good data, using informed analysis to drive decisions, and communicating the results of our research. 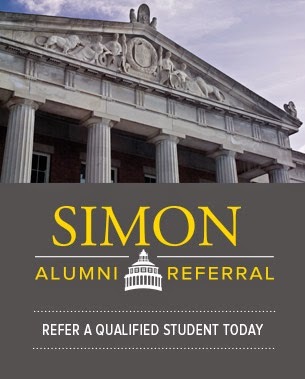 In every circumstance, including reducing the number of degree programs and moving away from the one-year MBA program, each decision was made with the best analytic tools and academic expertise Simon has to offer. When I spoke at my investiture in February, I noted the many accomplishments of Simon’s iconic dean, Bill Meckling. A true scholar, Dean Meckling believed in a direct and immediate link between the production of scholarly works and the teaching of business. Fifty years later, the connection between business schools and academic research is just as vital—but decidedly less direct. I believe that as educators, it is incumbent upon us to ensure that the intellectual property we put into the curriculum remains relevant and accessible to the individuals we teach. Student success is, and always will be, critical to our future. To move Simon forward, we must also continue to ask tough questions and invest in finding interesting and challenging career opportunities for our graduates. This issue’s cover story, “Is an MBA Worth It?” reflects not only our ability to ask hard questions, but also our confidence that Simon provides some of the strongest support of any business school that an MBA is worth it. As part of providing excellent value in an MBA degree, Assistant Dean Karen Dowd and her team in our Career Management Center have reported notable success. Their targeted recruiter outreach has seen job placement by graduation increase 18 percent, while our alumni mean-base salary grew to nearly $92,000, and 68 percent of our graduates said they accepted a position as the result of an opportunity created by a school-facilitated activity. As you will read in this issue’s other feature, “The US Business of Health Care,” Simon’s spirit of innovation is also alive and well, especially when meeting the changing needs of one of the country’s largest and most influential industries. For years, we have expertly trained physicians, clinicians, insurance providers, and administrators in the business of health care. Our new offering, the 13-month Master of Science in Health Care Management in New York City, builds on the Simon tradition of creating targeted and meaningful MS programs to meet the needs of an ever-changing marketplace. I hope you enjoy the spring 2015 edition of Simon Business magazine, and I look forward to meeting more alumni, friends, and supporters in the coming year. Together, we can make Simon even stronger and more successful.